Best Western group! Seoul Garden Hotel, only 1min from Mapo station! Best Western Premier Seoul Garden Hotel re-opened Oct 2014. The hotel is 5-star hotel . 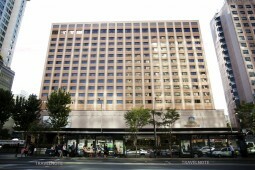 In vicinity of Seoul’s Manattan Yeouido, the hotel is located in Seoul downtown Mapo. It is 25min drive from Gimpo airport, 50min drive from Incheon Int’l airport. Subway line 5 Mapo station is only 1-2min walk away.